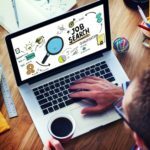 As tons of job applications assimilate daily, recruiters find it difficult to manually screen those applications and find the best candidate. The outcome – companies often end up putting a lot of effort, time and money to search for a candidate with disappointing results. It’s time for recruiters to change the way they recruit and leverage recruitment analytics to gain actionable insights that they never had before. 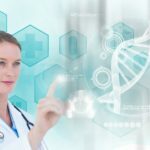 In his blog post on the importance of analytics in the HR space, David Bernstein, VP of eQuest’s Big data division, writes, “It is not a replacement for all other tools; it’s a new tool to be added to the decision-making toolbox.” Bernstein, among so many others, highlights the importance of recruitment analytics in the HR space. With traditional hiring systems, recruiters get reports on vacant openings, employee performance, employee information, overtime premium, etc. These HR reports provide insights that are limited to the organization’s data alone. However, to stay ahead of the competition, recruiters must get intuitive reports about their company, their competitors, and the industry as a whole. Listed below are essential reports your recruitment analytics tool should offer. With details of the job opening, your recruitment analytics tool should offer a heat map that shows the location of all your potential candidates. 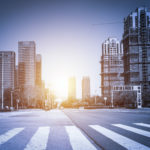 In a single platform, your tool should show the density of potential candidates in various cities across the U.S.
Often, you find it difficult to hunt candidates who are already engaged with other employers. Your report should offer a list of all passive candidates who would contribute to your organizational growth. Once you enter the “job title,” “skills,” and “experience” required for a required job opening, your report should give you a clear statistic about the number of days you, your competitors, and the industry, as a whole, take to close that particular vacancy. Giving you such benchmarking reports gives you excellent insights on what you’re doing right and where you need to improve. Does your recruitment analytics tool give you reports that suggest you a list of all additional skill-sets your organization might need in addition to the required minimum skill-sets for a vacancy? Such a report can help you understand which additional skills (in addition to the minimum skills) others in your industry are looking for, for similar positions, allowing you to get the right talent for your organization. Your recruitment analytics tool should be able to show you the number of job vacancies that your competitors have opened for a similar job that you have posted. 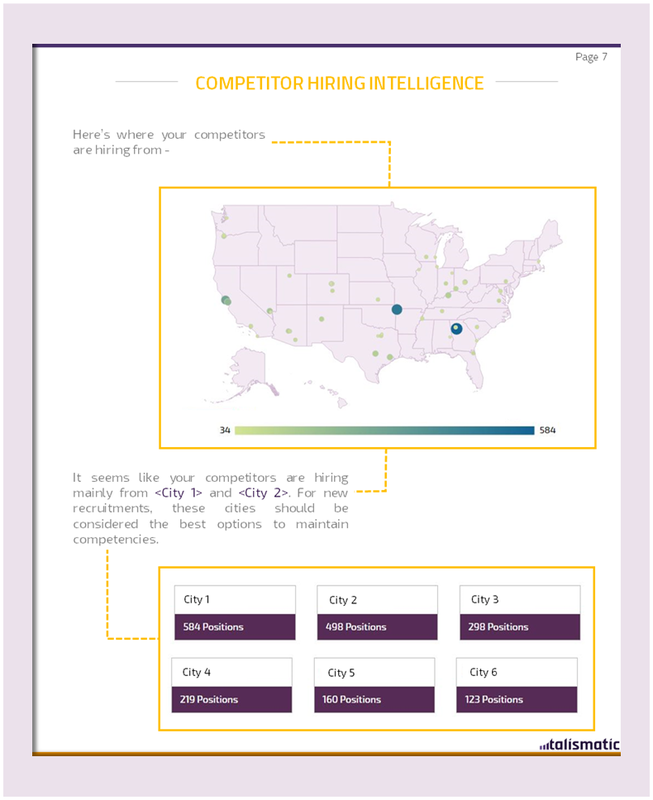 Such an insight will help you get a glimpse into your competitors’ recruitment strategy, not only helping you to personalize your job search to attract candidates but also by showing you geographies that your competition may be targeting for talent expansion. Tracking the actions of your competitor will help you optimize your workforce decisions, benchmark against your competitors, and evaluate your hiring performance. Your analysis report should give a heat map of the open positions, showing the locations where your competitors are hiring. 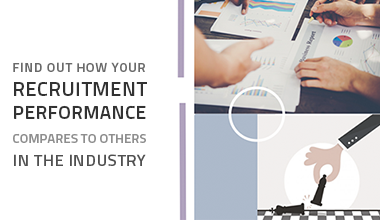 Also, the report should offer you with a graphical representation that evaluates your hiring performance and compares it with your competitors, which can help you focus on areas of improvements. Furthermore, the recruitment analytics tool should provide you all details regarding the minimum qualifications that your competitors are looking for while hiring for different posts. The analytics tool should also be able to give you a count of how many full-time, part-time and contract-based employees your competitors hire. Basically, all the reports mentioned above should also come with a benchmarking against your competitors or general industry trends. 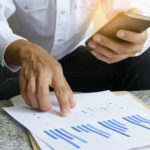 Now that you have a clear idea of all the essential reports that can help you drive your organizational growth, you must quickly choose the right analytics tool to achieve them all. One of the best recruitment analytics tool – Talismatic – uses the power of new technology such as big data and AI and gives a friendly interface to help you find the best talent, focus on competitors’ hiring plans and their performance, determine the exact location of all potential candidates, and subsequently benefit your organization.